All the fun of sleepovers you used to have... only much, much better. 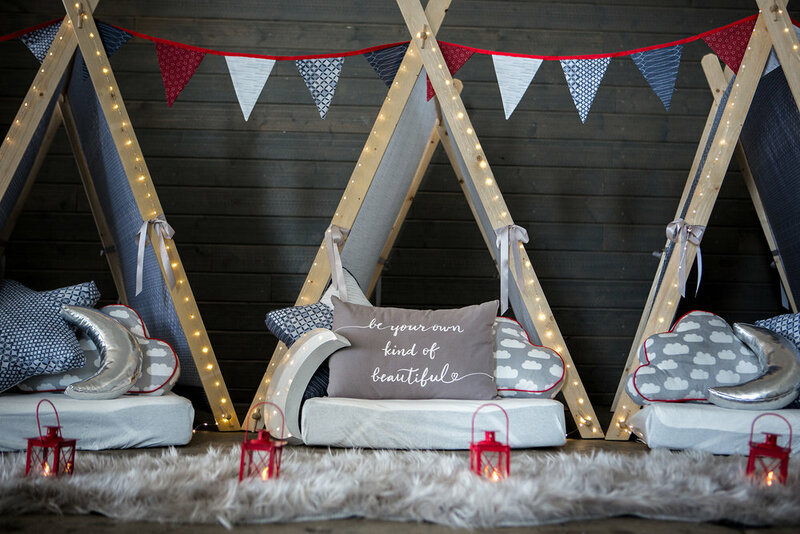 A WonderTent Parties SleepOver transforms the sleepover experience. Each child enjoys their own private "WonderTent" with all the trimmings. Special experience themes are designed for both girls and boys of all ages. We make hosting a SleepOver a breeze as we deliver, set up and style, then collect the next day. Our SleepOver is all about creating special, magical memories your child and their friends will cherish forever. That's easy, for $75 per person we can expand the package to as many as you need. - includes Movie Screen, Projector, Speaker, Blu-ray player (if required), Popcorn Cart, 6 Low Lounger Chairs and Blankets. Select from our range of recommended themes specifically tailored for the SleepOver experience. Sweet Dreams - What Wonder-ful SleepOvers are made of. Adventure Camper - the Ultimate Camp In. NEW - Unitopia - The Unicorn’s Playground. Summer Skies - Fun from Dusk til Dawn. Sequins & Sparkle - It’s Your Time to Shine. NEW - Parisian Nights - Add some Oh La La to the night. Cool Nights - Take your Sleepover to the Next Level. Perfect for birthdays, holidays, family days, any days.